Water just drains away and it is only when the drains get clogged the importance of a free drain is felt. That is when you reach for the phone to call in an expert professional to reclog the drain. Just because drains are not obvious it does not mean that they need to be ignored. Every responsible house owner must take preventive measures to ensure clean drains. This can be done through a variety of methods. A simple method is to pour bleach into the sink and let it rest overnight. Do this at least once a month to ensure clean drains. You can also pour hot water down the drain after you clean up every day to ensure all debris is washed away. Adding baking soda or vinegar to the water will improve its cleaning power. While you are at it you must also attend to the drain stoppers and ensure they are cleaned once a month. Grease in the drains can attract and retain dirt that will eventually lead to clogging. Just pour hot water with detergent to remove grease. The recommended routine to ensure clean drains is to check pop up stoppers in the sink, check for trash and remove any debris. One should also check shower and bathtub drain and use a brush to remove debris. Once a month it is recommended to use a disposer brush to clear accumulated garbage. It is good to use a bactericide to clean drains once a month. Taking additional preventive measures will further ensure that your drains never clog. This could be in the form of wire mesh placed over the drains and preventing solid stuff from dishes, hair and fabric from entering the drain in the first place. This goes for foodstuff, gum, stickers, tampons, dental floss, oil, greases and sundry other materials. Even soap can clog your drain. Buy and learn how to use a drain auger or drain snake and it will help to remove minor clogging. The purpose of preventive maintenance for clean drains is to avoid paying a high cost to plumbers to clear clogged up drains. If you have neglected preventive work and your drains become slow or entirely clogged and none of the above methods work, it is the time to call in blocked drains professional to clean drains. A professional is to be preferred to a handyman and for good reasons. 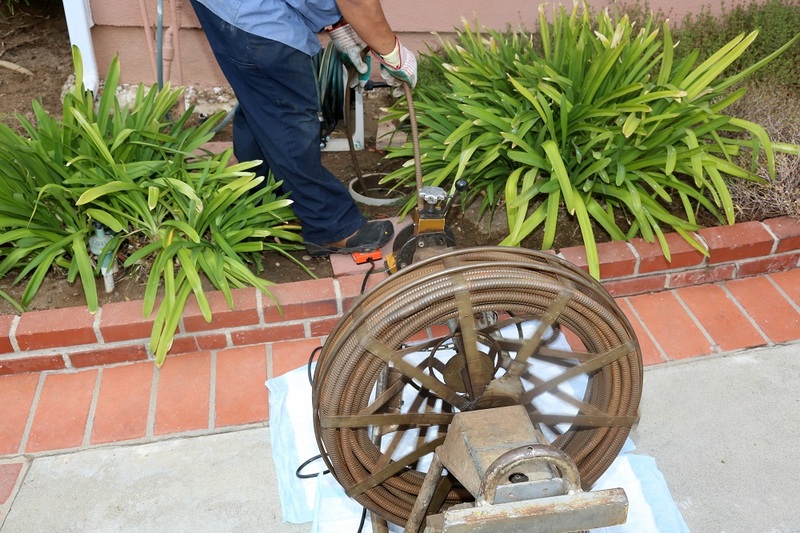 They have the knowledge, the expertise and the equipment to handle a variety of clogged drains issues. While changing the drains a handyman may damage it and it can lead to subsequent leaks. Such leaks can damage walls or lead to flooding. Repairing these damages will prove more expensive. Hiring professionals to clean drains ensure that your drains are cleaned thoroughly without any collateral damage. The method that is used to clean drains that are clogged varies according to the issue. It requires experts to diagnose and make use of the right equipment. One method involves the use of an electro-mechanical equipment with a flexible shaft at the end of which is fixed a rotary blade. As the flexible shaft moves inside the drain, the rotating blade removes dirt and debris. In situations where the drains are tightly clogged, then a professional may use a high pressure jetting equipment to thoroughly clean drains. A hose is lowered into the drain and a nozzle at the end emits water at high pressure to clear the wall of the pipe of any debris. This high pressure jetting removes virtually any and all materials that are tenaciously lodged inside drains. The result is perfectly clean drains.